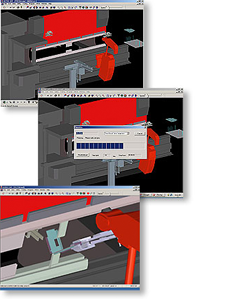 Dr.ABE_Astro is AMADA's automated bending software for Astro 100 series machines. Dr.ABE_Astro completely handles the time-consuming task of programming your ASTRO 100 series machine for the jobs you need to run. If you have an automated bending robot, why not automate programming too?